Zoho CRM offers a range of tools to manage a customer's account information inside your CRM. 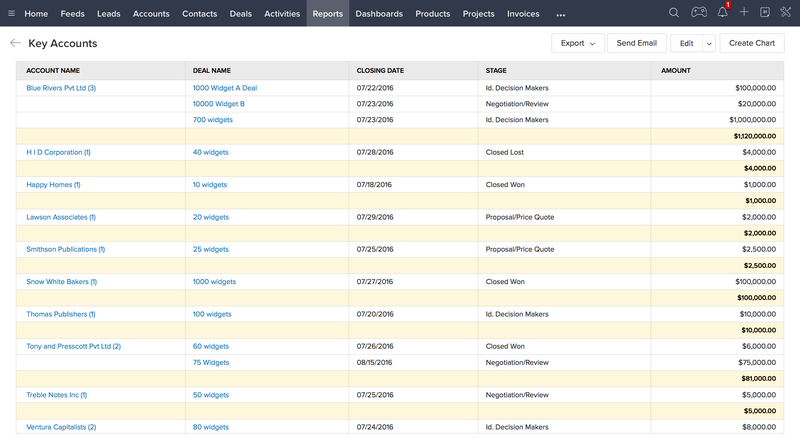 Account management makes it easy for sales reps to close more deals by giving the complete overview of the contacts, deals, and tasks of a company in one place. View all your information from a single location, including the latest customer activity, associated contacts, pending deals, ongoing projects, and more. A complete view of your account makes collaboration easy, regardless of how the business changes. Cater to different needs of the same organization. Big companies have more than one office and many departments. 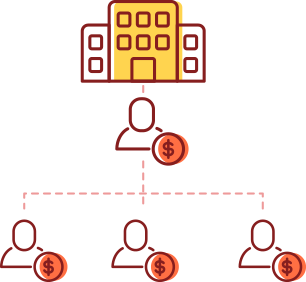 Giving your attention to each individual or department is easy when you treat them as separate accounts under the same parent account. This lets you manage daily interactions with decision makers in a streamlined way. Know what stages projects are in. Monitor a project's progress by setting milestones and ensuring their completion. You can also proactively update customers about their various tasks without having to ask teams about project status. Keep tabs on your receivables. Seeing is believing. That's why it's crucial to follow up with customers until their payments are received and recorded in the books. Use Zoho CRM to generate sales orders and see payment details within the account. Identify your most valuable accounts and deals with reports. With a wide range of available reports, you can quickly assess your priorities and complete tasks for important customers in a timely manner. Reports also help you see which accounts are your most valuable, so you can assign your best team members to those accounts.